Vastik Mishra: Is Directors Fortnight The Best Section Of Cannes? Is Directors Fortnight The Best Section Of Cannes? Cannes is the most prestigious and beloved film festival, and certainly my favourite festival. I take Cannes even more then the Oscars.I have always searched the films that have went there and try to watch them. 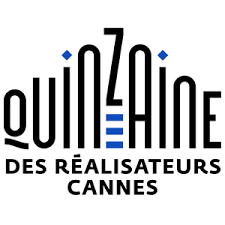 So, those who have knowledge about Cannes, well enough, but I'll recap for those who don't. Cannes itself has it's award. It is called the Palm D'or. It is the most famous section in Cannes. Films like Taxi Driver, The Leopard, Apocalypse Now, La Dolce Vita have won and have been screened at this section. For 21st century films like, Elle, Amour, The White Ribbon, Zodiac have shown their presence there as well. Now, I'm not here to talk about those sections, I'm here to explore and tell about it's parallel section called "Director's Fortnight Section". The question, this post is based on is, is it the best section of Cannes? So, let me start saying this that, It is surely the most important section in Cannes, without a doubt. Every filmmaker begins from there. Weather it's Martin Scorsese, Michael Haneke, or the latest director Damien Chazelle, or even our Anurag Kashyap ( though he sent his films later on his career). Films like Mean Streets, The Seventh Continent, Whiplash, Gangs Of Wasseypur, Ugly, Werckmeister Harmonies, Bandit Queen etc. have all been screened here. In recent times films like Mustang, Dope, Green Room, Blue Ruin, Dog Eat Dog has been to this section. It explores the lesser known names, and young talents. That is what I love about Directors Fortnight, and that is not the only reason, but also, it has no awards. It dosen't have any specific awards to be given, selection with itself is an honour. That is great because, there is no competition. Like in Palm D'or the film that wins, puts all other films a little down, but in Directors Fortnight that does not take place. It treats every film equally. There I have made my point. I hope you got some information about this section. I love it a lot, and certainly it is an important section. Palm D'or is great, but it dosen't explore what Directors Fortnight does.